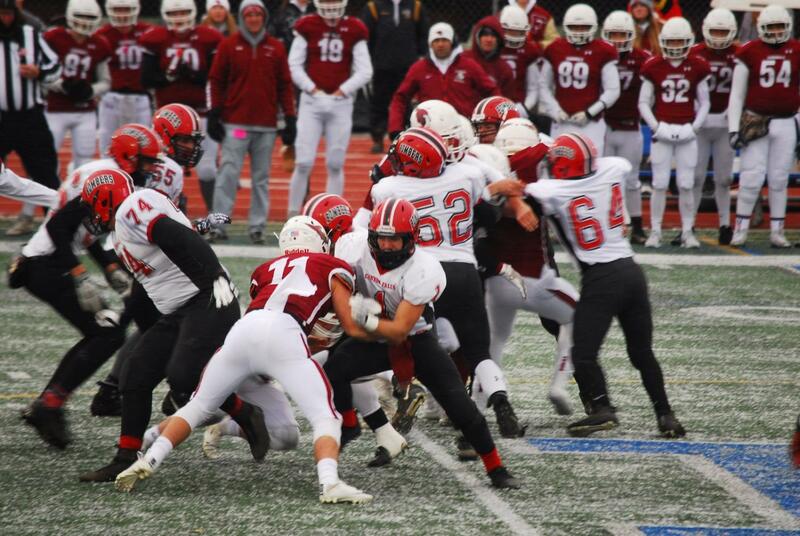 Cannon Falls Bomber Football team's season comes to a close after making it to state. Bomber running back Logan Hofstedt crashes the line in a snowy state tournament game. On a snowy Saturday in November, the 2018 Bomber football team was welcomed home one last time. As a fitting tribute, the police and fire department proudly escorted the boys through town. Going into the season, the team had one mission: advance to the state tournament. Having “knocked on the door” by reaching the section finals in four of the past six years, their poster read “Break Down the Door.” Despite a schedule filled with few wins, key injuries, and close defeats, they would do just that. Along the way, pursuing their dream would prove to be an uphill battle. Cannon Falls sat amidst one of the toughest districts with several top ranked teams including perennial No. 1 in class AA Caledonia. After slogging through an 0-4 start to a 2-6 regular season and losing juniors Ryan Linde, Trenton Matthies, and Cooper Peterson to injuries, their prospects for a playoff run seemed slim. With the number 5 seed in the section and a state ranking of 41, any and all playoff games would be played on the road. Nevertheless, the Bombers trounced Minneapolis Edison 67-8, and followed that up with a convincing win over the No. 3 team in the state, Breck, with a final score of 36-27. The team traveled to St. Croix Lutheran, winners of the last seven section titles, for the section championship. Even though the Crusaders scored quickly on their first drive, the Bombers battled back, putting up two touchdowns, including one from recently reinstated running back Matthies, before St. Croix kicked in their final three points of the game. The score at the end of the first half was 13-10 in favor of Cannon. The Bombers shut out the Crusaders in the second half, coming up with some huge turnovers on defense in the red zone. Two touchdowns from senior Logan Hofstedt sealed the deal, making the final score 27-10. For the second time in team history and the first time in two decades, the Bombers broke down the door and moved on to the state tournament. Waiting for them at Hopkins High School on a frozen field would be the Fairmont Cardinals. 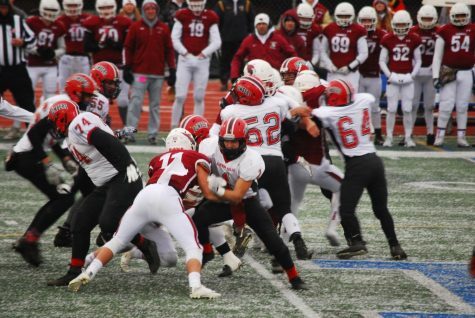 Most reporters scoffed at the idea of the Bombers even coming close to advancing past Fairmont who had a 9-1 record and a state ranking of No. 4. The start of the game seemed to echo these sentiments; Cannon was forced to punt, and the Cardinals scored on an 81-yard pass on their third offensive play. After tightening up their defense and creating some huge turnovers, the Bombers finally answered with senior Brodie Hansen running it in from 12 yards out, making the score 7-6 (Fairmont missed their extra point). Cannon would add another touchdown in the third quarter to make the score 14-6. Unfortunately, the Bombers fumbled after another long drive, and Fairmont capitalized, tying the game at 14. About halfway through the fourth quarter, the Cardinals would add another touchdown, bringing a sense of urgency to the Bombers. 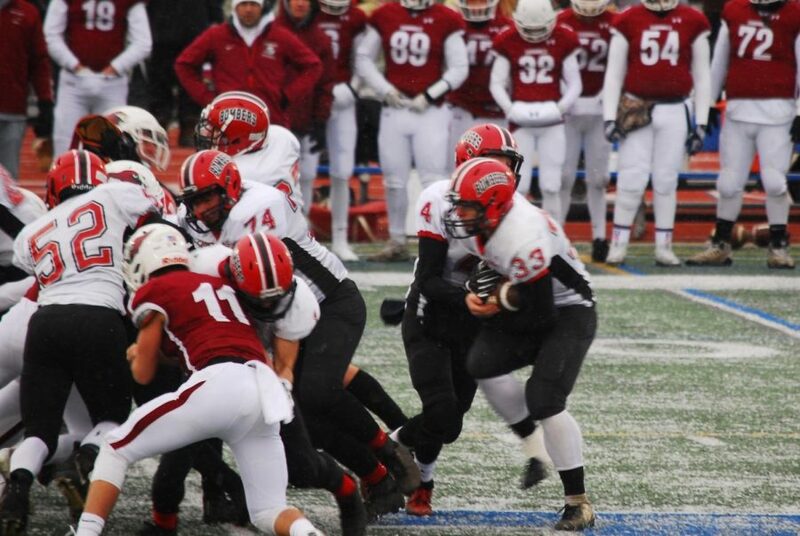 However, they would fumble the ensuing kickoff and Fairmont would tack on another score with 4:15 left in the game. Down two scores with such little time, the game looked like it was over. However, Cannon would quickly drive and score, making it 21-27. They would then recover the onside kick and start their drive in Fairmont territory. A short march and a successful extra point was all it would take for the Bombers to clinch a spot in the semifinal match, but they would fall mere inches short on a fourth down and their underdog playoff run finally ended. Though the team will miss the ten seniors they are losing, their hopes for the next season remain the same as this year’s: return to state and beyond. After all, the door is now open.